My Lil Hunk Wants to Hear From You!!! My Lil Hunk wants to hear from YOU!!! Share with our readers any funny stories and/or lessons you’ve learned in this bittersweet journey into motherhood!!! Let us know how you want us to post your name, your location and your child(ren) age(s) ! Looking forward to hearing amazing stories!!! That’s how long I have been a mother … That’s how long Helena Alba has been in our lives. And to tell you the truth, it just does not seem possible. It feels more like it has been 329 years because I just can’t remember what life was like before her. Life has been busy and, unfortunately, I don’t get to post as much as I would like. It is not so much about lack of time as it is about not feeling inspired to write. I need to be relaxed in order to feel like typing and being busy doesn’t help. Not to mention so much happens in such a short period of time, so many milestones … it is hard to keep track of all of them! There is so much I want to share! Since I last posted, so much has happened!! 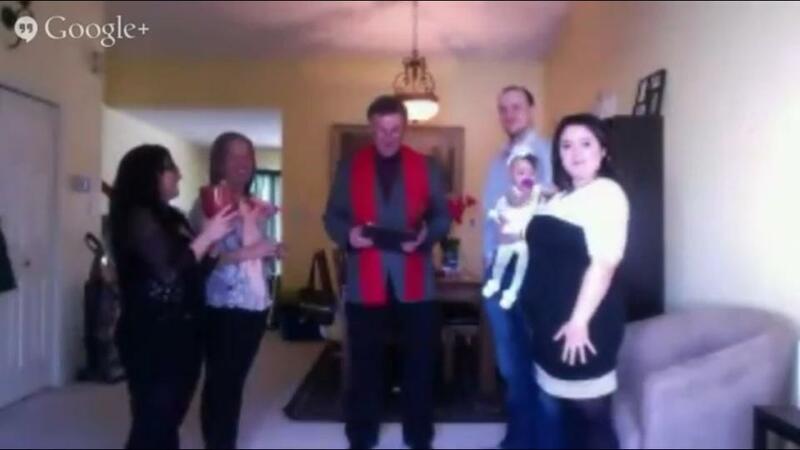 Her naming ceremony … our second anniversary! 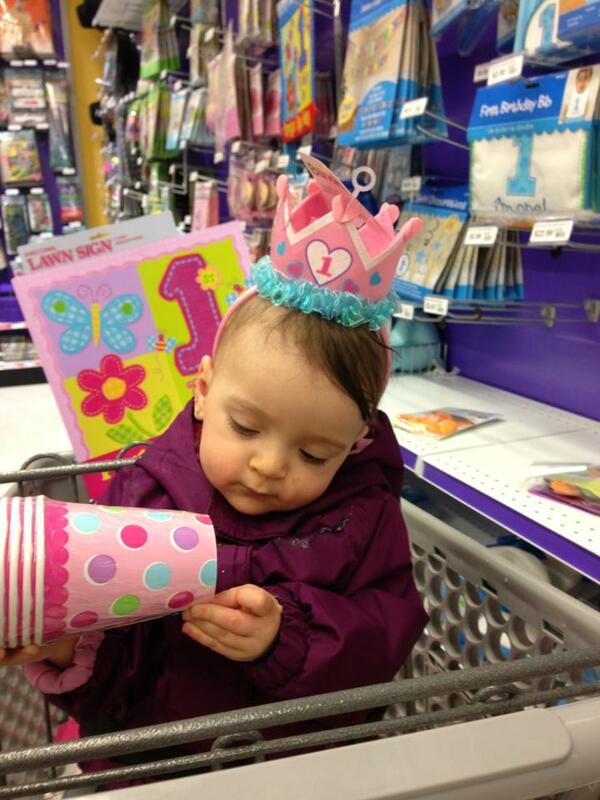 Helena will be turning one soon, can you believe it? I can’t! We are going to have a little celebration and we have invited our closest friends and family. I am really looking forward to it! What has amazed me the most lately is the fact that, even though she is only 10 months-old, she has already developed a unique personality of her own. I feel so blessed to be able to be with her everyday and to get to meet her. Surely, nurture does play an important role when it comes to developing one’s personality, but there is so much about one’s personality that is purely nature. Helena is so smart and funny. She is always in a great mood! People are always commenting on how easy she is! Doesn’t cry or complain, unless there is something really wrong!!! She is active and loves to learn new things. 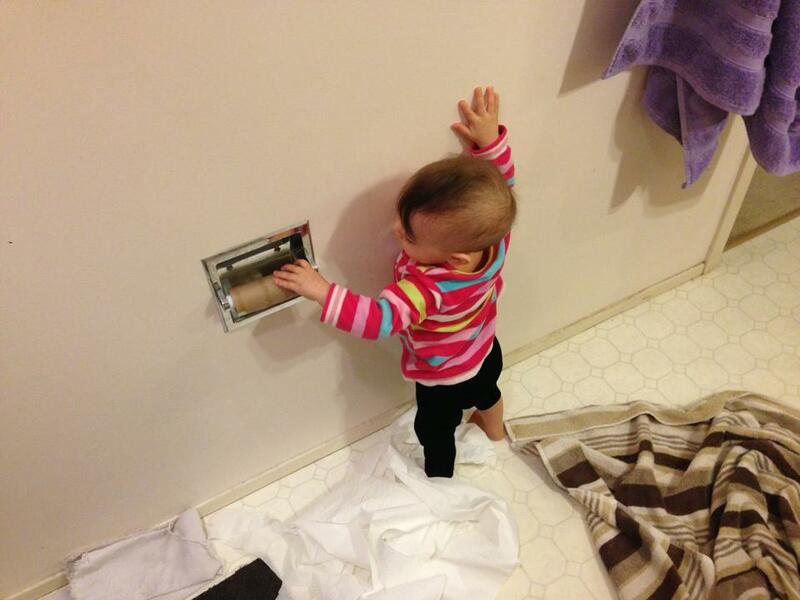 Now she is all about copying me – the things I say and the things I do. I guess my cussing days are over!!! She also likes to eat from my plate!! 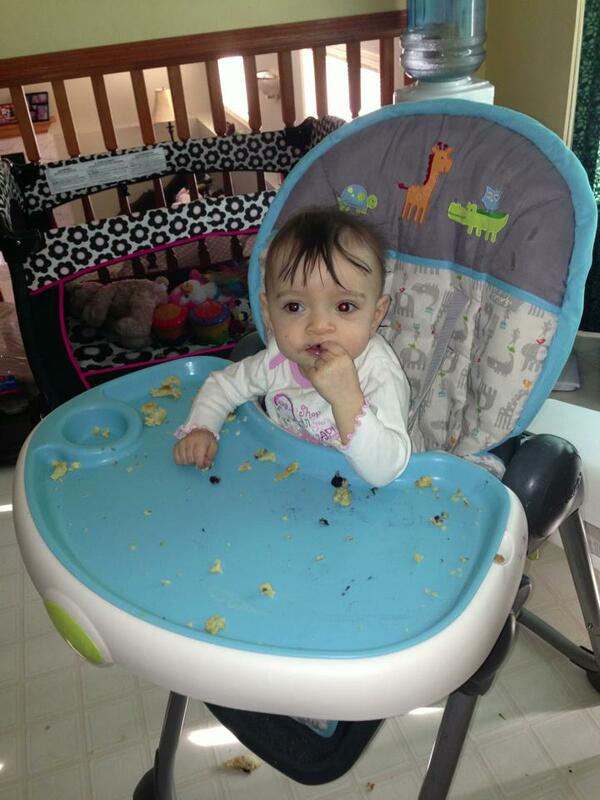 It is kind of funny because, even when we are eating the exact same thing, she doesn’t want to eat from her plate!! It has to be from mine!! She crawls really fast (Thank God we have finally found the perfect gate!!! 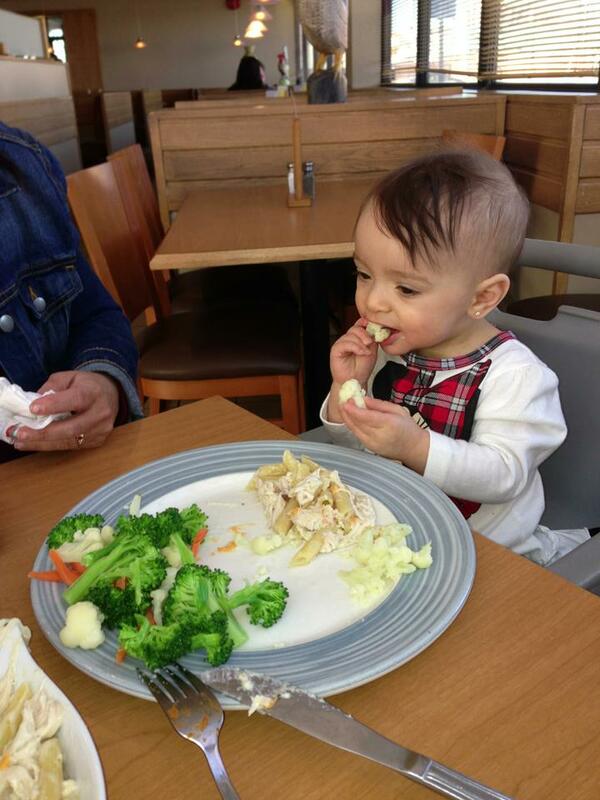 ), she eats on her own, she makes lots of funny faces and sounds … She says mom, daddy and vo ( grandma in Portuguese). She “talks” on the phone, send kisses and communicates with us through all kinds of sounds and gestures. I mean, specific signs that mean specific things that she wants/needs. Aw, gosh, she is just so precious!! All children are precious! 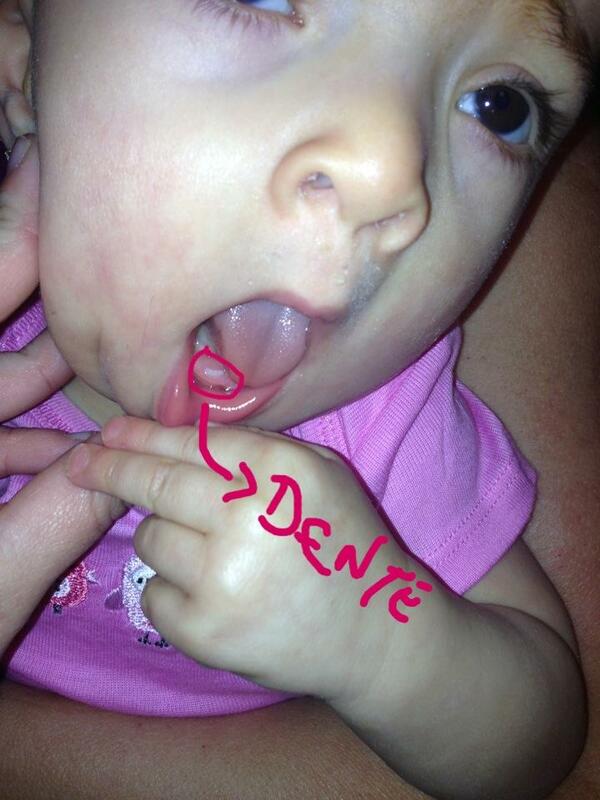 She has two bottom teeth now ! She looks so cute. Helena has also been introduced to so many different foods now and she is always so happy and excited with new flavors. She’s had bread, pancakes, chocolate, chocolate milk, milk, and so on … We don’t really need to puree most of her food now which is really handy! Hubby has been working out of town which makes me so, so, so sad, but my mom is back. She is going to stay for about 3 months and she is, obviously, helping me a lot! I am able to get so much done! I am taking some psychology courses online through Athabasca and, I must say, I have never been this motivated about school before. And it is all because of my baby Helena! We are planning a trip down to Brazil for summer – my relatives haven’t met Helena yet!We are super excited!! Helena’s Canadian Passport should be here soon and then we are going to work on getting her Brazilian one! After sleeping at my mom’s place for a few nights, we are back to bed-sharing! Yeah. At my mom’s, we had to bed-share so, when we got back home, she didn’t want to sleep in the crib anymore. I am so not looking to crib train again. I guess I should simply admit I am a co-sleeper! Helena hasn’t gained weight since she was 6 months-old, and therefore, her doctor requested a blood exam. 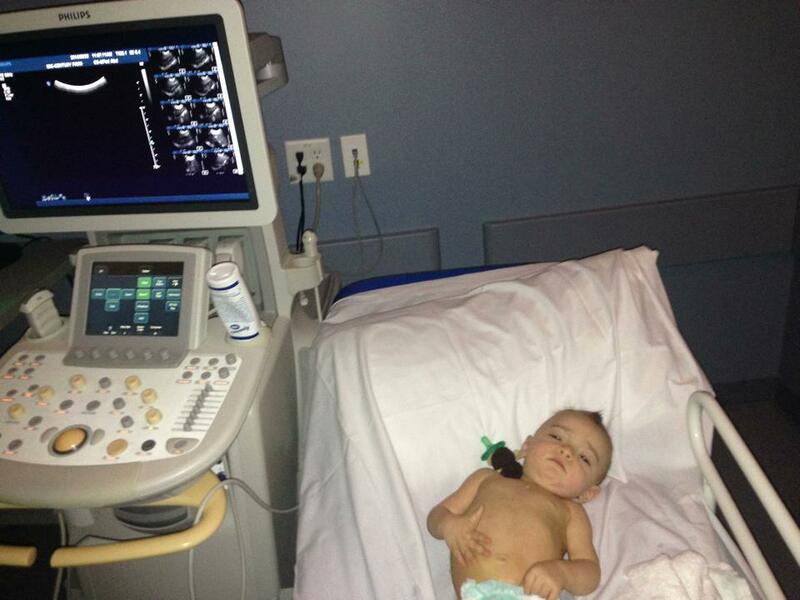 When results came back, he requested a more detailed blood test and an ultrasound of her kidneys. The doctor believes there could be something wrong with her kidneys. I am concerned, but I am not going to freakout because I believe it might be something easy to fix. Also, being concerned could interfere with my ability to care for her! Long story short: I feel like I gave birth to my best friend. I love hanging out with her, watch movies, chill together. And, if she ever reads this someday, I just want her to know I love her so much!